Much to our delight, this man from Germany decided that he wanted to become a member of our Museum. He was concerned for our vehicles out in the elements and asked why we didn’t have a showplace for them to be protected and displayed. After explaining how our museum was run by volunteers, donations and smiles, it was clear a “showplace” was out of the question. It didn’t end there. The German visitor decided to purchase the Phillips “rock” building and let the Museum have a “showplace”. Michael Fleissner, from Munich Germany is married and has two children. He shares our vision to preserve and show this history of the area. If you want to be a part of this project please call Bonnie Terry 406-355-4533 for further information. Donations can be sent to The Rudyard Historical Society, P.O. Box 44, Rudyard, Montana 59540. 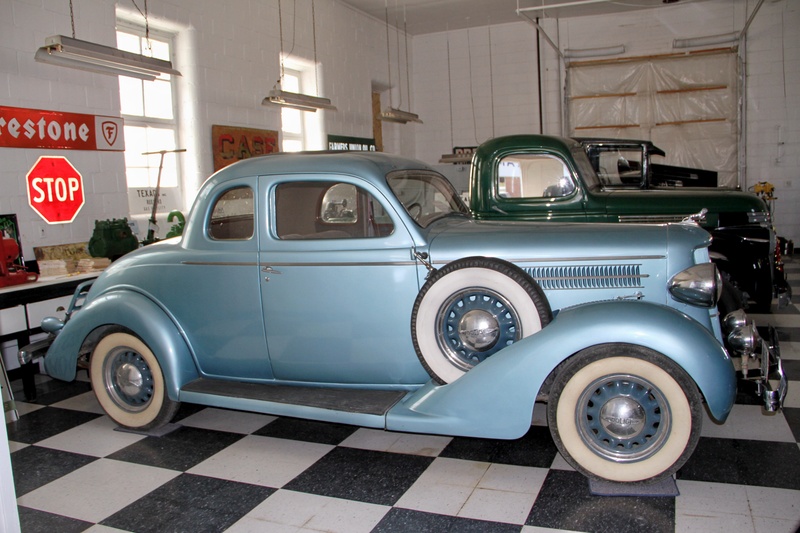 Please put Hiline Vintage Auto Museum in the memo. The Phillips Building was built in 1947. It was unique for the area. The rock walls and rounded roof are still striking features. Inside, the heat was generated by hot water forced into pipes in the concrete flooring. 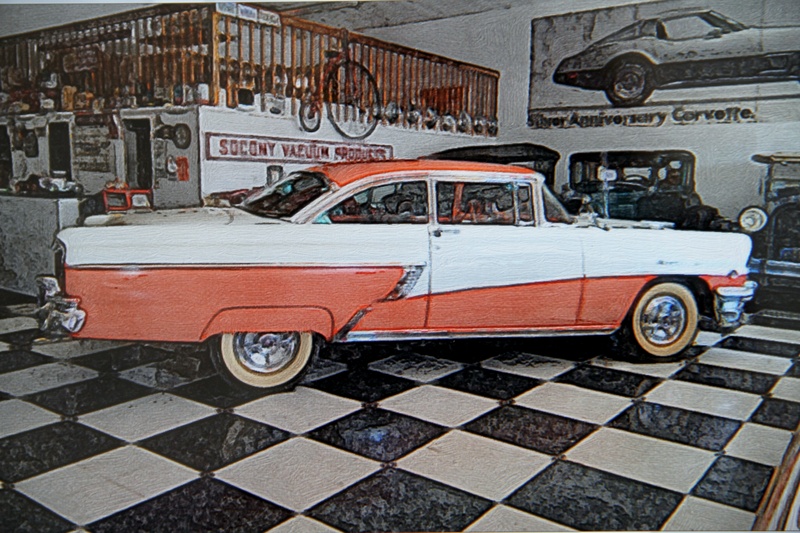 Curtis “Curt” Phillips built the building as his Minneapolis Molene Implement dealership that ran for about 45 years. How fitting that it be returned to an automobile “showplace”. 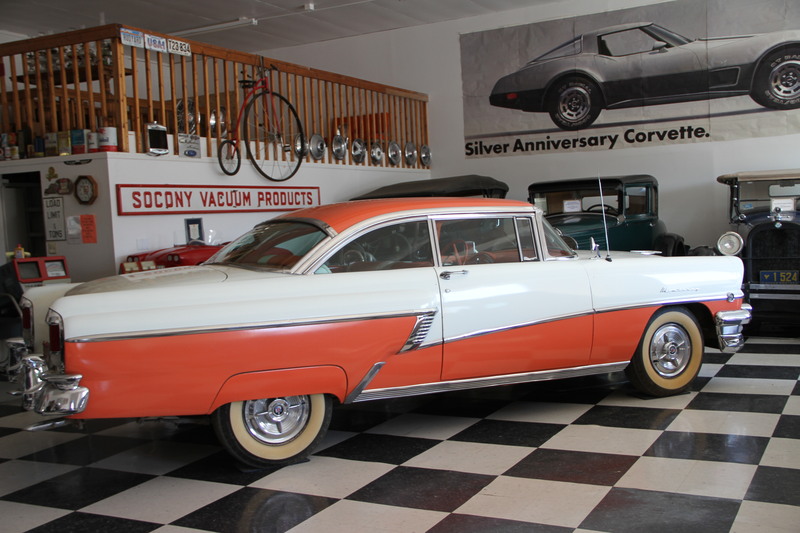 In April of 2008 Michael Fleissner chose to celebrate his 50th birthday along with 35 friends from Austria, Germany, Canada, and around the country at the newly renovated Hiline Vintage Auto Museum in Rudyard. 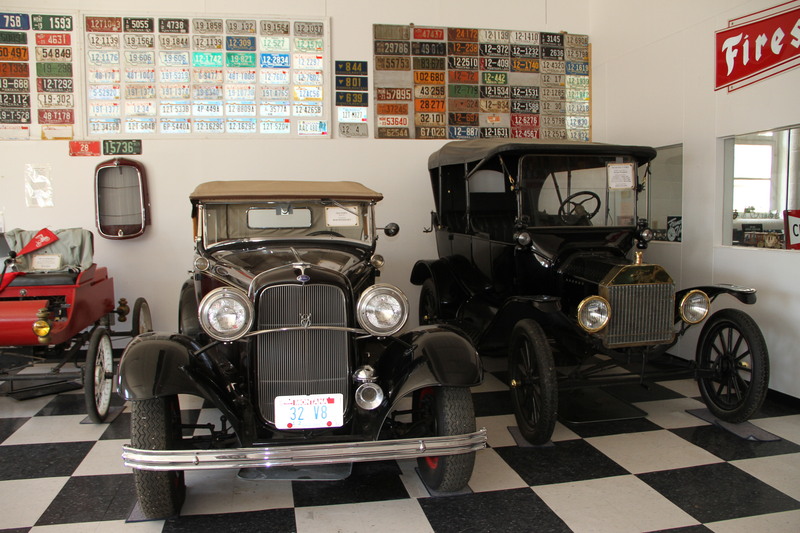 The Rudyard Historical Society on behalf of the Depot Museum and the Dino Museum welcome the new Automobile Museum. 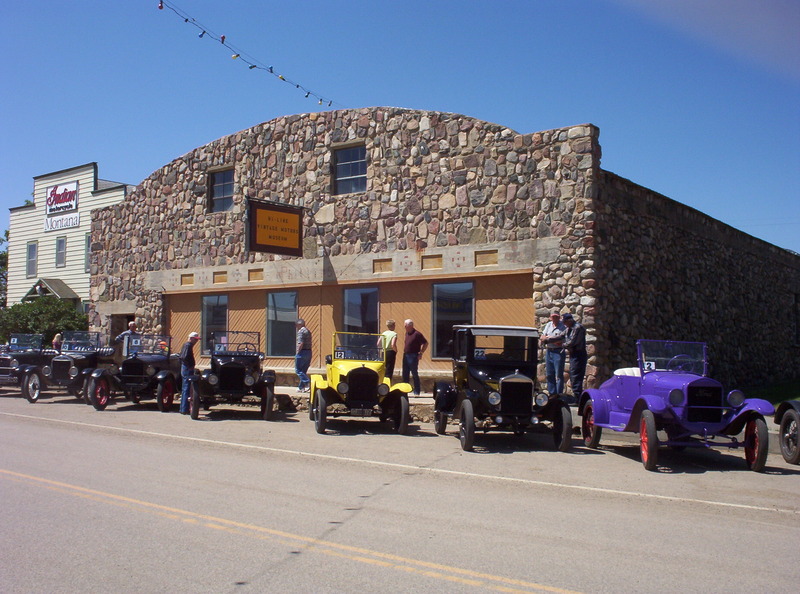 The Grand Opening, was in June 2007, and coincided with the Antique Car Race-The Montana 500, that started in Havre and with the annual “In-Gathering”. Stop by, reminisce or give the crew a hand in their endeavor.